Despite algorithm updates, the rise and fall of social media platforms and evolving technology, one thing has remained pretty consistent for website optimization, and that is keywords. The challenge for website admins and content creators is finding keywords that they can rank well for relative to the competition that is worth the effort. 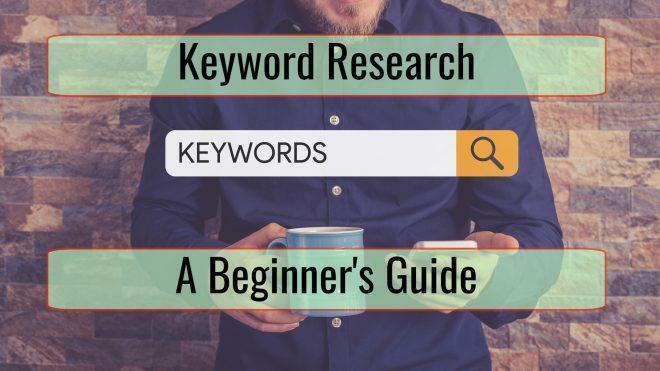 Here is a beginner’s guide to keyword research to find exactly those search terms. While there are many tactics you can use to boost your search engine results page ranking, optimizing your website for the right keywords is the best strategy. If you identify key search terms that your blog, website or profile can dominate, you’ll show up at the top of the searches for that key term. The traffic to your site will reinforce that high search engine results page ranking. Optimization for a particular keyword or phrase is common practice, so this form of SEO will never count against you unless you’re trying to rank well for a search term unrelated to your content or literally stuffing the site with the keyword. Keyword research is an SEO strategy that you know will work when done right, and it is hard to do wrong. Keyword research is when people research the actual search terms the general public and their target customers use when searching for things. You can research the search terms that those who land on your page are using as well as those that your target customer base is using. You can also run detailed reports to find out which search terms are associated with people about to buy a product or service like yours. Note that keywords can be single words, phrases or even full-length questions. Full phrases and questions are typically generated by conversational queries like when someone asks their device a question. Keywords fall into three main categories. Short tail or head keywords are those that are the peak of the search demand curve. Unless this is your company name, personal name or brand name, it is going to be very difficult for you to dominate these search terms. Medium tail or body search terms are used fairly frequently, and you may be able to dominate them with the perfect mix of SEO. Mid-tail search terms tend to be more specific than head terms. It is the difference between “insurance” and “health insurance in my state”. Long tail keywords are usually very specific; their low search volume means few people are competing for them. These are also the search terms that tend to be associated with local searches like “health insurance in X city” or “restaurants in downtown city name”. These are the keywords that local service providers and small businesses can almost always rank well for with good SEO, assuming it is related to their website and its content. Search engine optimization for a particular search term is when you integrate that keyword several times in the content so that search engines associate your page with that query. You don’t have to use the same keyword on every page. For example, your company’s homepage should probably be written to come up first in searches for your company name, while product pages should be optimized for queries related to your product name or products similar to yours. Improved search engine optimization for key search terms used by those who are about to buy the product will improve your conversion rate and increase sales. For example, your ecommerce product pages should focus on transactional or buyer related search queries, the search terms that demonstrate intent to buy, not general informational queries. The company’s home page, about us, and FAQ page can come up for informational queries. You could apply SEO to the web pages talking about the company’s owner or lead content creator of a blog so that searches for those people bring them to your website. Blog posts about how to use your product or solve problems of interest to your customers should be optimized for the informational queries they’re inputting. Create a list of relevant topics to your business. If you are a blogger, list the topics you regularly blog about. Start with a long list, since you will be winnowing it down as you do your research. Add specific keywords that you want to dominate. This includes but isn’t limited to the name of your business, your products, and names and nicknames for key personalities. Include terms that you think your buyers are searching for. You can also list the keywords your website is already being found for, though you’ll probably need website analytics software to get this information. The next step is researching related search terms. An easy way to find this out is to do a search with terms you know your customers use and looking at the “searches related to X” list the search engine will show on the bottom of the search results page. The next phase of this process is doing the research on each search term. Pay attention to the conversion rate associated with each keyword. It doesn’t help you to dominate a search term that isn’t related to your business or brings many visitors who don’t buy anything. The next step is to look at what the competition is doing. What search terms are your more successful competition using? What related search terms can you utilize without being in direct competition with them? What search terms could you reasonably integrate into your content and beat them in the search results? You want to be in the top five search results, because search engines regularly cut off everyone below that, especially when someone is searching on a mobile device. Do this research for every keyword or search term you’ve identified, removing terms that have too much competition or are dominated by parties you can’t beat. Keep the terms that you may be able to rank well for. Do further research on the demographics of those using the terms related to your target audience. Where there is overlap, keep the term on your list. If the two aren’t a fit, either strike it off your list or find out if you have just found a new customer segment. Compare the search terms you have relative to the intent of your content. 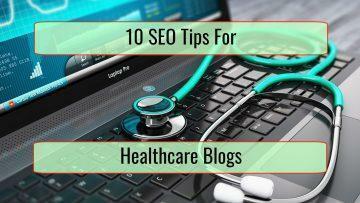 You may want to create new content to rank well for a particular search term or conversational query. Or you may need to update the keywords referenced in your existing content. Don’t be afraid of failing to get a perfect match – simply doing better than you are today is progress. 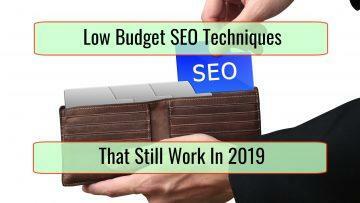 Know that SEO is a perpetual challenge. Your rivals are updating their content. Customer behavior changes over time. And now you know how to keep up with all of them. Simply knowing some of the best keywords to integrate into your content or write about can boost the ranking of your website and increase customer conversions. You can’t afford not to engage in keyword research.